George Bannerman (G. B.) Dealey, publisher and civic planner, immigrated to Galveston, Texas, where he took the position of office boy at the Galveston News on October 12, 1874. He worked for this publishing concern the rest of his life. When the Dallas Morning News was founded in 1885 he was appointed business manager. 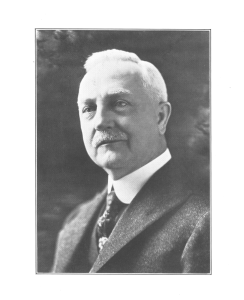 He was the founder of the Dallas Historical Society (1922) and lifetime president. In 1986 the Hall of state underwent extensive renovations. During the renovation process the G.B. 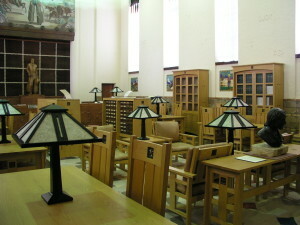 Dealey library was opened to for researchers. The G.B. Dealey Library actively collects materials documenting the history of Dallas, Dallas County and Texas. It maintains a large collection of photographs, documents, artifacts, books and periodicals. The Dallas Historical Society’s holdings include collections from notable figures such as pioneer attorney John C. McCoy, and nineteenth century businesswoman Sarah Horton Cockrell. Other collections include the papers of Congressman Hatton W. Sumners, Democratic party leader Thomas B. Love, George W. Briggs, Sam Acheson, Joseph W. Bailey, Dallas Morning News publisher George B. Dealey, Elmer Scott, Margaret Scruggs Caruth, John M. Moore, Dallas ISD principal John Leslie Patton, DISD former superintendent Dr. W.T. White and the 1936 Texas Centennial Commission. The collection centers on the social, economic, and political history of Dallas and Texas. Rare items include the spurs of Antonio López de Santa Anna, and the watch of James W. Fannin. In recent years the society has made strong efforts to acquire items documenting the different cultures living in Dallas and North Texas. The Library will be closed from August 22 until November 5 for exhibit preparation. Tuesday thru Saturday 10:00 a.m. to 5:00 p.m.
Sunday 1:00 pm. to 5:00 p.m.
For research purposes which require access to our collections, see below.